So sometimes, a dog’s favorite person is not their primary caregiver. So how do dogs choose their favorite person? And is it possible to change their minds? Of course, every dog is different, but some generalizations apply. 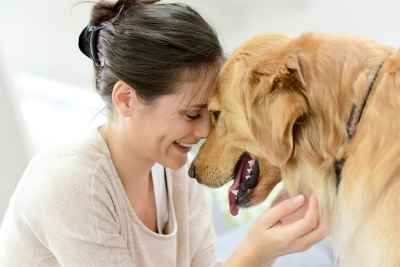 Read on to learn all about how dogs choose their preferred people. 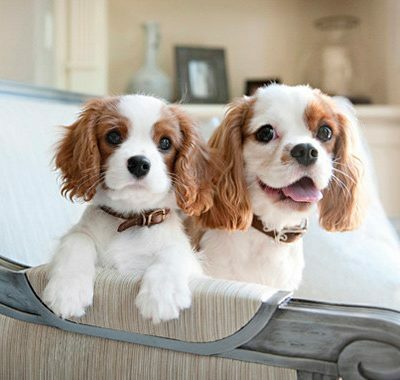 Many dogs bond hardest to whoever cares for them during their key socialization period, which occurs between birth and six months. At this age, puppies’ brains are incredibly receptive, and their early social experiences influence them for the rest of their lives. That’s why it’s so important to ensure your puppy has positive interactions with a wide range of people, places, and things. For example, dogs who aren’t exposed to people wearing hats may become afraid of hats ater in life. I didn’t get Radar until he was six months old, so I don’t know exactly what his early socialization experiences were like. However, he tends to prefer men, which leads me to believe he had more positive, formative experience with male caretakers. If your dog was already an adult when you adopted them, don’t worry: it’s not too late to become their favorite. While early experiences are important, continued socialization through experiences like doggy day care, play dates, walks and more matters a lot! Beyond the attention of their favorite people, dogs play favorites depending on associations. In other words, when a person is the source of good stuff, the dog forms a bond.When you think about it, it makes a lot of sense. Of course, a dog is going to love the person who always plays tug of war or gives them loads of their favorite beef treats. They also know that the person who feeds them most often is a pretty important player in their lives! How to become your dog’s favorite person. -Play fetch, tug of war, or hide and seek. -Working on new skills, or reinforcing old ones, is a great way to bond! -Try a sport like agility where you and your dog can work together as a team. We even offer agility classes here at Ruffger’s. -Give your dog a grooming session or massage. We hope these tips will help your dog love and admire you more than he or she already does. If you have any questions, always feel free to contact us here at Ruffger’s.